May flew by in a whirlwind which saw me galavanting in Milan for work, spending all of my spare time with my family and celebrating a lot of birthdays. Let’s have a little look back at the highlights shall we. 1. We had our dinky patio laid ready to get some summer BBQ’s with friend’s in the diary. 2. 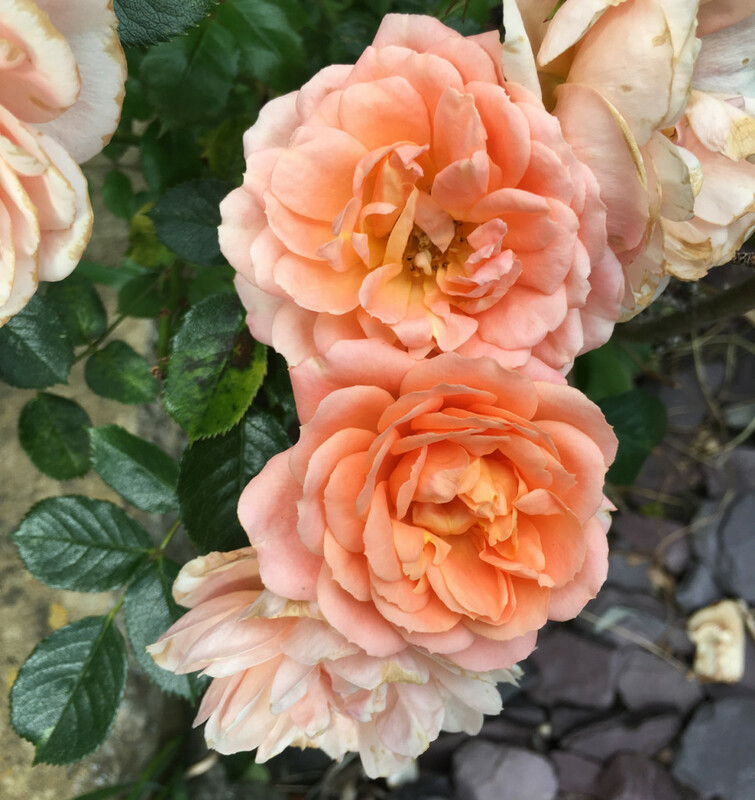 The flowers in the garden are now in full bloom and my peach roses make me feel all whimsical whenever they catch my eye. 3. I’ve spent about 90% of my spare time seeing all of my gorgeous family. 4. Getting the chop and going blonde again. It’d been 11 weeks since my last appointment and I was having a serious fight against my roots (what roots, I’m a natural!) and my greys. 5. I spent the beginning of the month in Milan with work where I ate all the Parma ham and drank a tonne of Aperol Spritz. 6. A quiet dinner and drinks for my besties 30th birthday turned into a wild champagne bar jaunt with me rolling home at 3:30am. 7. We started shopping for Al’s wedding outfit which makes the countdown feel more real. 8. Surprising my sister at a birthday dinner where we consumed copious amounts of delish Thai food. 9. Buying my dad a pair of customised Adidas sliders for his 66th birthday. 10. The weather being nice enough to wear all my pleated midi skirts. YAS! So long May, hullo June.